Zagreb won the Europa League round-of-16 home match 1-0 but were beaten 3-0 after extra-time in the return in Lisbon and eliminated. 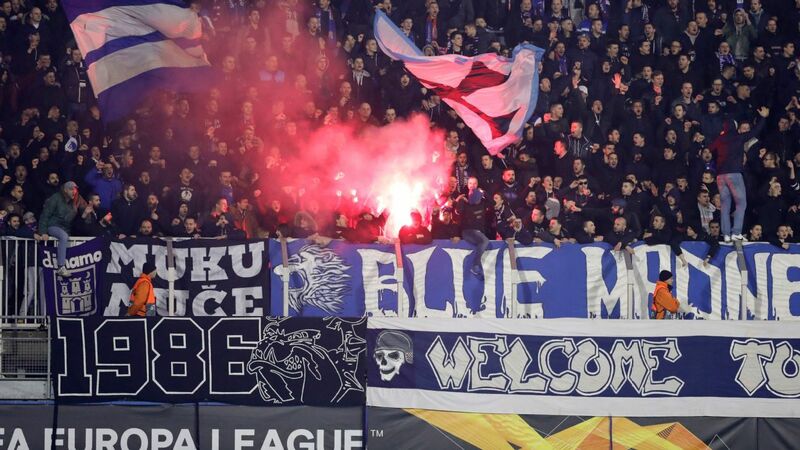 Dynamo Kiev were ordered to close part of their stadium for their next home European game following a pitch invasion in the match at home to Olympiakos in February. UEFA said fans also set off fireworks and threw missiles. Malmo and Chelsea were fined €58,000 and €13,000 respectively following incidents at their round-of-32 match in February.